Reprinted with permission from A Time to Mourn, A Time to Comfort (Jewish Lights). The principle of kevod ha-meit [treating the dead with honor] underlies several other important issues with regard to the disposition of the body. 2. When the law of the land requires it. 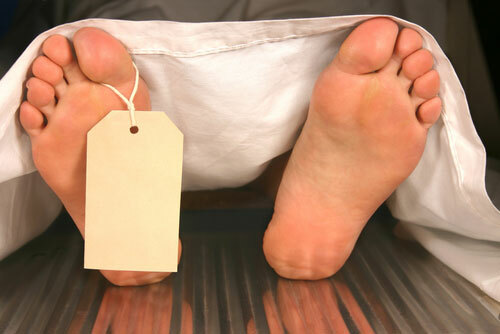 However, in all cases, the entire body is to be buried following the autopsy. When our friend Jerry Weber was killed, an Orthodox member of the family desperately tried to prevent an autopsy. Although [his wife] Sally was at first inclined to agree, two factors made an autopsy mandatory. In a criminal investigation, an autopsy must be performed, and the cause of death had to be established for insurance purposes. The issue then became how quickly the autopsy could be performed in order to proceed to a timely burial. With the help of a friendly city official, the autopsy was performed immediately and the funeral was not delayed. With the tremendous advances in medical science, it is now possible to donate organs and tissue upon death to the living who require transplants. On the surface, this would seem to be mutilation of the body, regarded as nivulha-meit, disgrace to the dead. Indeed, some authorities hold that such donations should not be offered. However, many modern commen­tators have interpreted the donation of organs as the ultimate kevod ha-meit by bringing heal­ing to the living. Therefore, it is permissible and, according to many, even a mitzvah for a person to will organs or tissues of the body for transplantation into other bodies for healing purposes. What about the requirement that the entire body be buried? Ultimately, the trans­planted tissue will receive burial when the beneficiary of the transplant dies. The requirement to bury the body in the ground can be traced to the earliest chapters of the Bible. In the Garden of Eden story, God tells Adam: “By the sweat of your face, will eat bread, until you return to the ground; for out of it were you taken; you are dust, and unto dust you shall return” (Genesis 3:19). The idea is expanded further in Ecclesiastes 12:7: “The dust shall return to the earth as it was, and the spirit shall return to God who gave it.” According to some authorities, cremation is absolutely forbidden, so much so that no funeral rites are offered and the survivors are not allowed to observe any of the rites of mourning, including the recitation of the Kaddish. My colleague and friend Rabbi Bradley Shavit Artson points out that to voluntarily cre­mate a body after millions of Jewish bodies were cremated in the Nazi death camps is sim­ply unthinkable. Moreover, the burial site itself becomes a place of comfort for the survivors, a place that would not exist if the body is cremated.